After 5 years of touring everywhere but Los Angeles, the UniverSoul Circus is back opening this Saturday March 16 through March 31 on Inglewood’s Hollywood Park parking lot, And to make sure they widen the eyes of many youth, they said, they’re giving 500 tickets to inner city youth. Under the big top, audiences will be entertained by 75 performers from all over the world, including acrobats, contortionists, dancers and animal tamers. Inter­national performers from Africa, Russia, Trinidad and Tobago, Brazil, China and the United States with an urban aesthetic and a hip-hop beat. 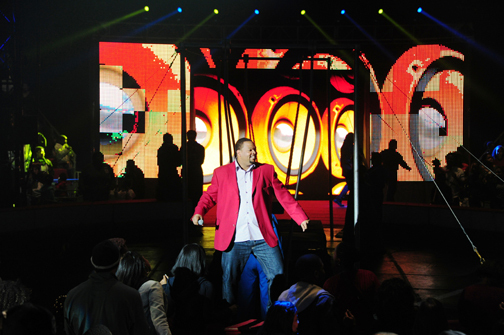 UniverSoul is a highly-interactive com­bin­ation of circus arts, theater, and music that spans genres including Pop, Classic R&B, Latin, Hip Hop, Jazz and Gospel. It embraces and celebrates the unique and familiar aspects of pop culture globally by bringing them center stage with a cast of international performers. UniverSoul Circus is rated as one of the top three circuses in America along with Ringling Brothers Barnum and Bailey and Cirque du Soleil. UniverSoul’s fresh approach to family friendly live entertainment has garnered it a coveted spot as one of Ticketmaster’s top ten most requested family events, along with other shows including Sesame Street Live, Disney on Ice, and Radio City Christmas Spectacular. The circus was founded in Atlanta by concert and theatre promoter, Cedric Walker. 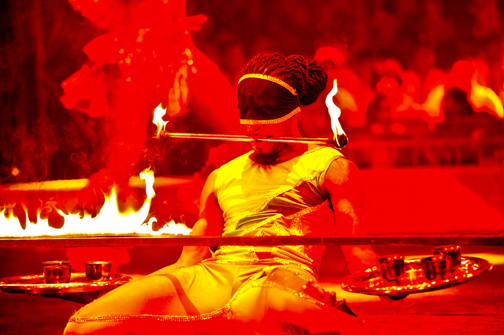 In 2013 the circus will perform over 500 shows in 46 major markets. UniverSoul Circus has touched audiences for 19 years, since Cedric Walker, a former entertainment mogul who worked for such groups as the Commodores and The Jackson 5, created it to bring together families and communities. Walker travels the world looking for thrilling, high-adrenaline, and, often, nerve-wracking acts, that will keep families entertained. The 15-city tour includes Vincent Clark, a Capella singers and the Human Beat Box from the United States; seven female contortionists from Africa; A Cuban/Russian high-bar act, a Vietnamese head balancing act, and China’s Shaolin Warrior king-fu acrobats. The circus also features performing animals, such as the Magic Cat Comedy act featuring live tigers from Africa, horse tricks from Russia and Africa, elephants, zebras and a French dog act. And back for his 19th year is ringmaster sidekick Zanda Charles, known as “Zeke,” with a brand new bag of tricks. The circus introduces new acts, music and choreography each year, which adds a fresh spin to the show. Unlike arena-style events packed with nosebleed seats, no audience member is farther than 50 feet away under this tent, so they may find themselves right beneath the high-wire act. The circus continues to evolve and diversify and find the best acts from around the world, regardless of their background. The UniverSoul Circus delivers a ‘must-see’ and colorful show with incredible talent. Get your tickets today!